★ MULTIPLE POCKETS + INSULATED POCKET FOR BOTTLE: We know how much gear goes with you and your baby so we have designed our carrier with multiple pockets specifically for you and your child. There are mesh pockets on the outer surfaces plus a large pocket on the back. The Waist belt has pockets for your phone and keys and there is an insulated pocket for baby's bottle. 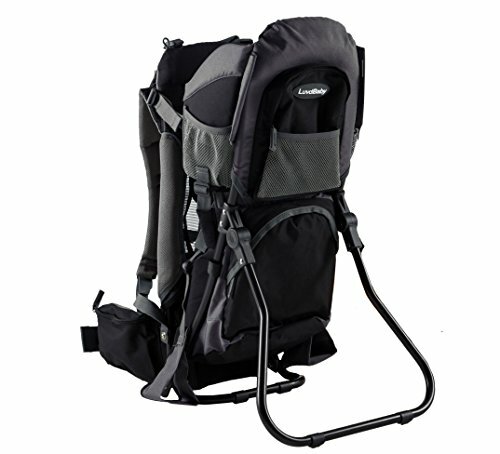 ★ BABY BACK CARRIER BUILT TO LAST WITH PREMIUM MATERIALS: Our baby back pack carrier is made from premium hiking materials that will stand the test of time. The main material is waterproof 600D & 300D Ripstop Polyester material that is strong and will look as good. The kick-out stand is made from strong lightweight aluminium.